This motor drives a pump which supplies the hydraulic supply to a local backup system for the Airbus A380 spoiler actuation system. 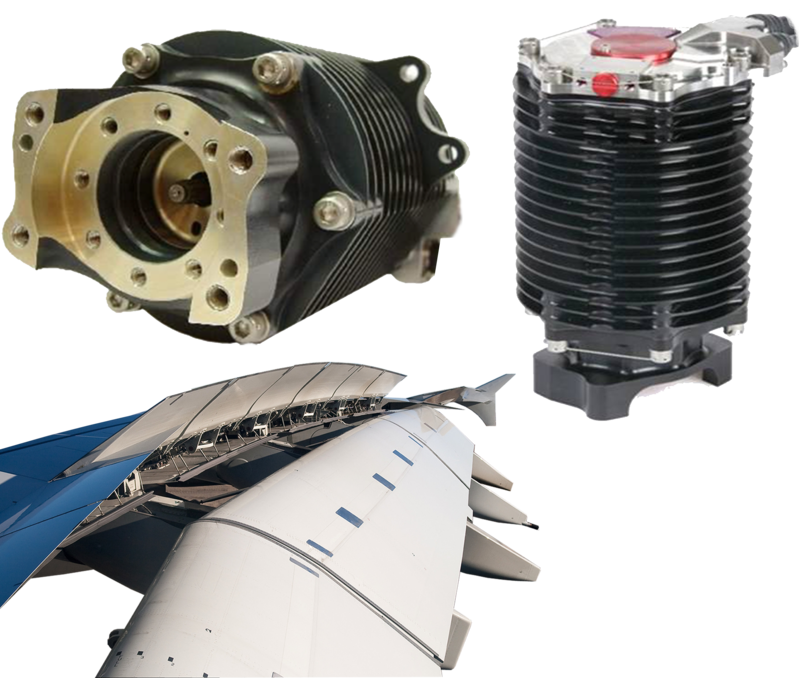 These mini hydraulic systems are known as Electro Hydraulic Actuators (EHA’s) and are controlled electrically and located at the point of delivery which is a move away from the traditional centralised hydraulic distribution system and a move towards the “more electric aircraft” approach. This is a 9 kW motor that operates at 12,00 rpm and is capable of containing hydraulic fluid at 350 bar pressure. The motor is motor 130 mm x 235 mm long and weighs 9kg. Airbus A380 electro Hydraulic Back Up Actuator (EHBA), other fluid immersed (fuel/hydraulic fluid) applications.